​This congregation began in 1842 when 22 communicants left Scots Church during the ministry of John Dunmore Lang. That small fellowship first met in a hall in Macquarie Place. 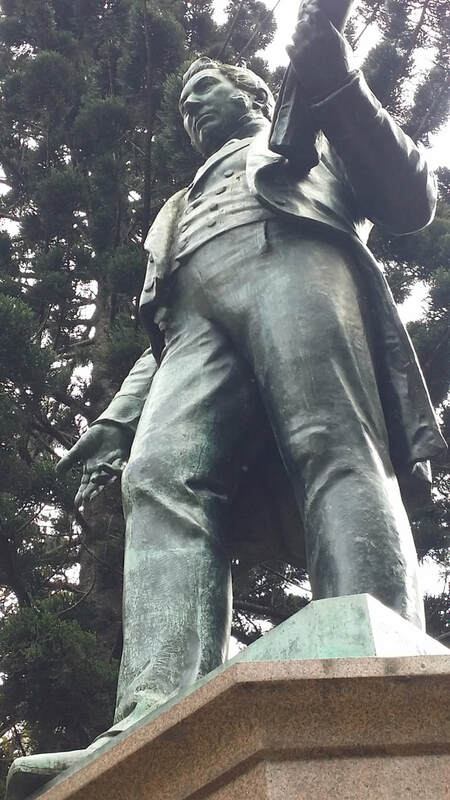 In 1846 it moved to the Wesleyan Chapel in Macquarie Street (opposite the Mint) and in 1848 to the Independent Chapel in Pitt Street adjoining the Sydney School of Arts. 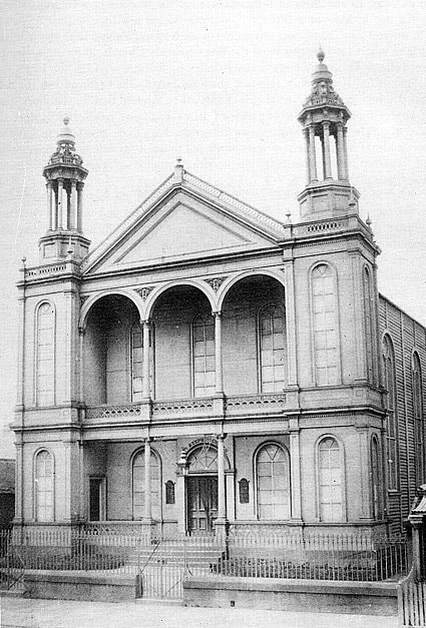 During the Gold Rush the congregation imported a prefabricated Iron Church, seating 800, which was erected in 1855 on the State Library site next to Parliament House. It was here that the name St Stephen's was taken - the Westminster Parliament having met in St Stephen's Chapel from 1543 to 1834. 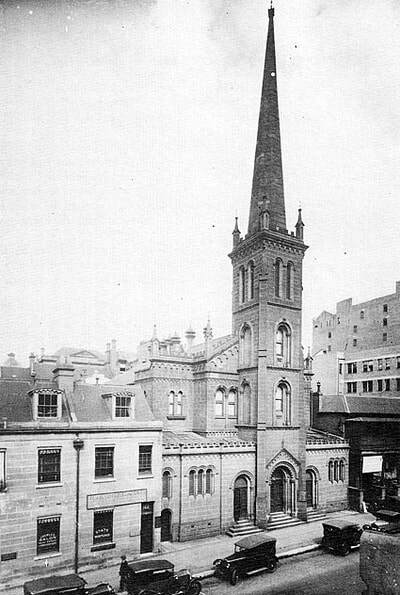 In 1875 St Stephen's joined with another congregation in Phillip Street and became a leading centre of Presbyterianism in this country. 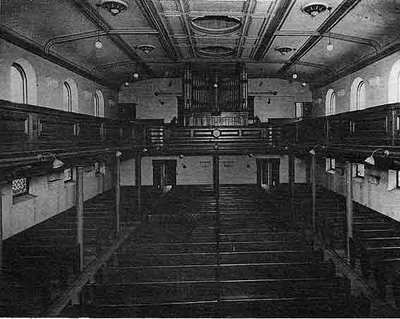 The NSW General Assembly met in St Stephen's, Phillip Street, when it first convened in 1901. The Sydney City Council resumed the Phillip Street Church (sited partially under the north west corner of the present Reserve Bank) to extend Martin Place through to Macquarie Street. In 1935 St Stephen's dedicated the fine, newly built Church which stands on its present position opposite the nationally treasured public buildings of Macquarie Street. 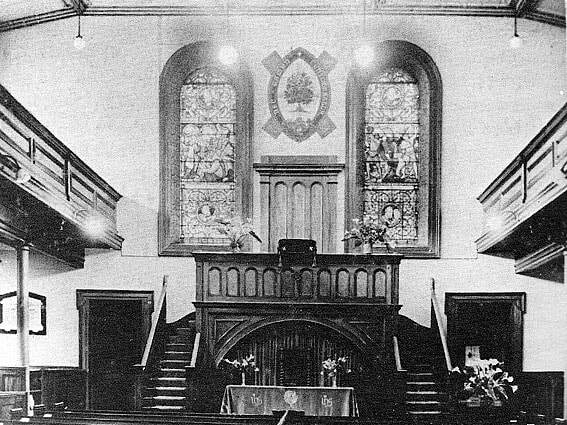 St Stephen's Macquarie Street entered a new phase of life and ministry in 1977 as a congregation of the Uniting Church in Australia upon Union of the Congregational, Methodist and Presbyterian Churches. It continues to be a significant church in the centre of Australia 's largest city and with God's continuing blessing will continue to be a force for God in bringing the Gospel to the people of the city. 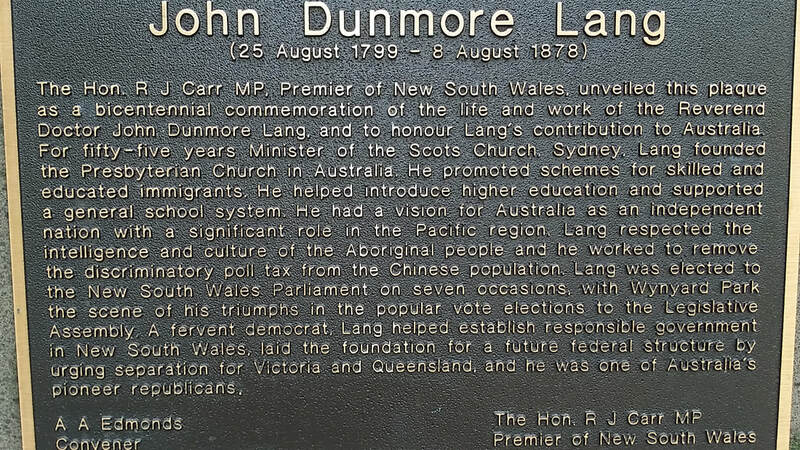 Plaque under statue of Rev John Lang cnr York and Margaret Sts, Sydney.